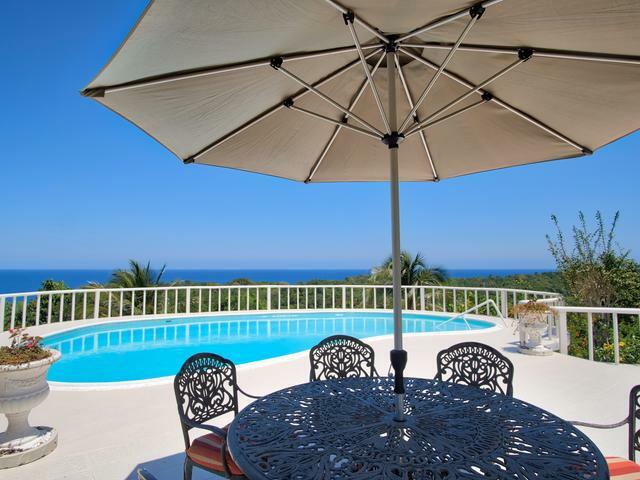 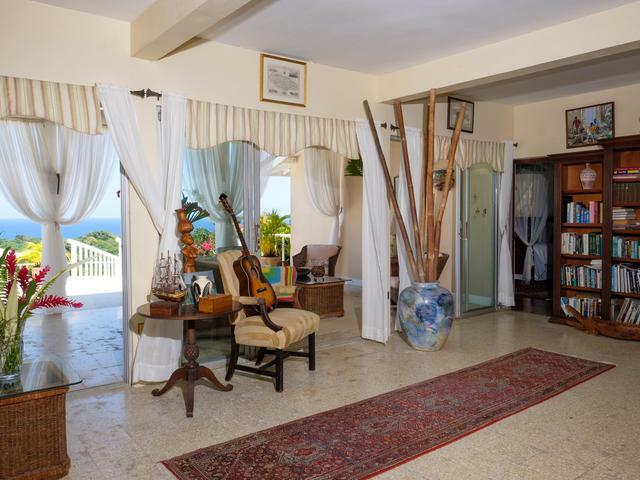 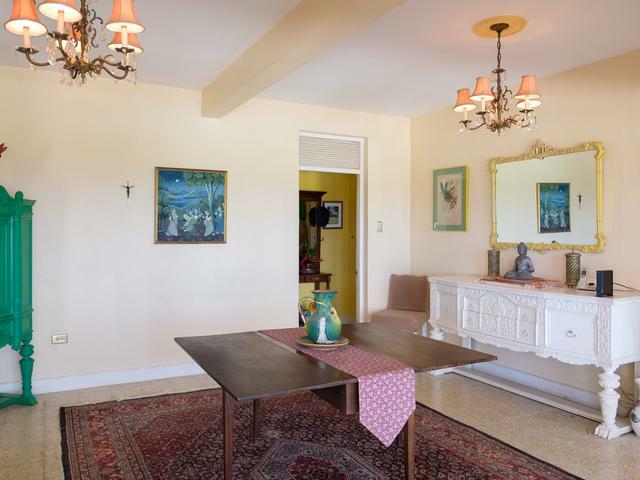 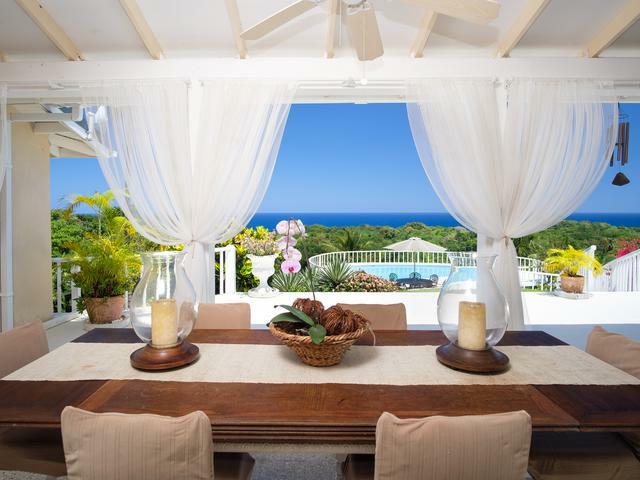 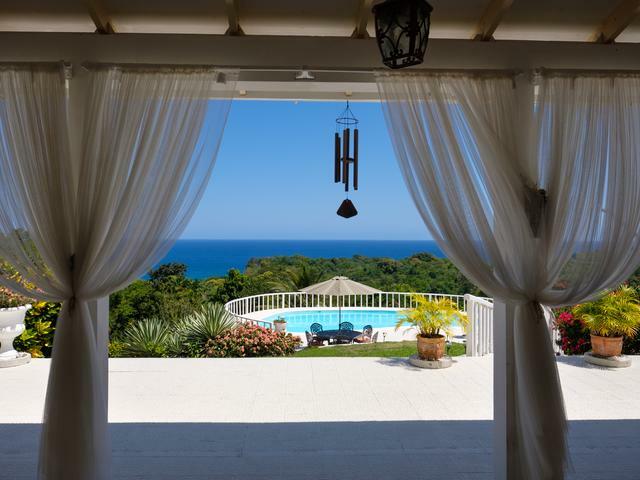 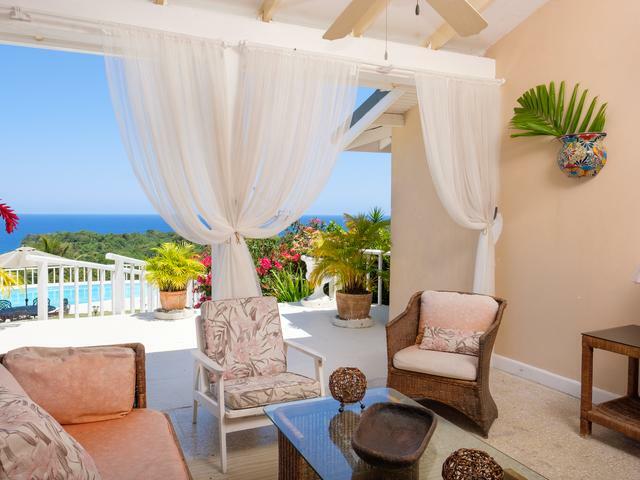 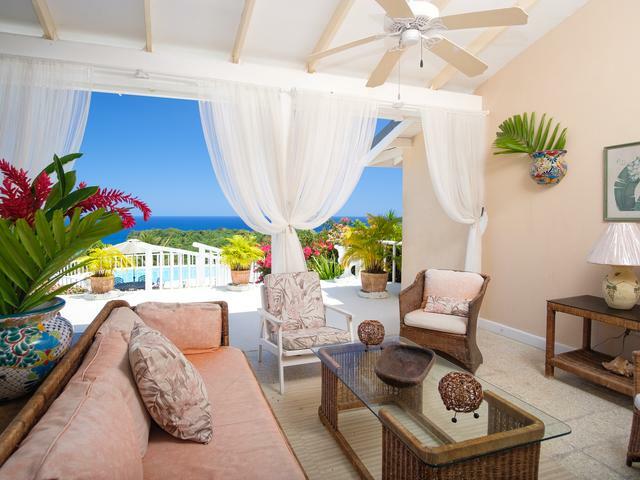 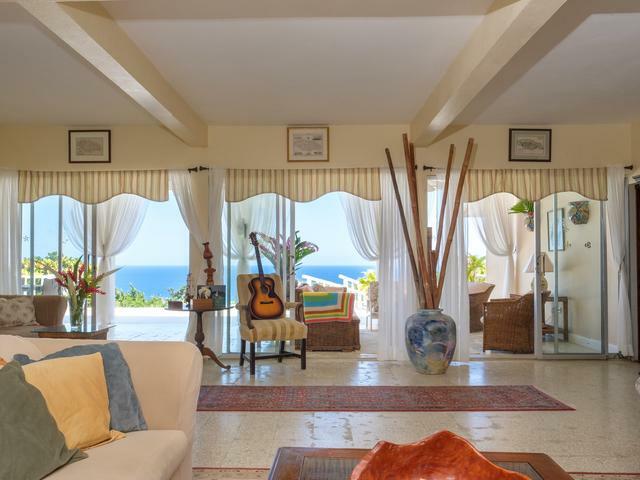 One-of-a kind hillside San San villa with breathtaking panoramic views of the Caribbean Sea. 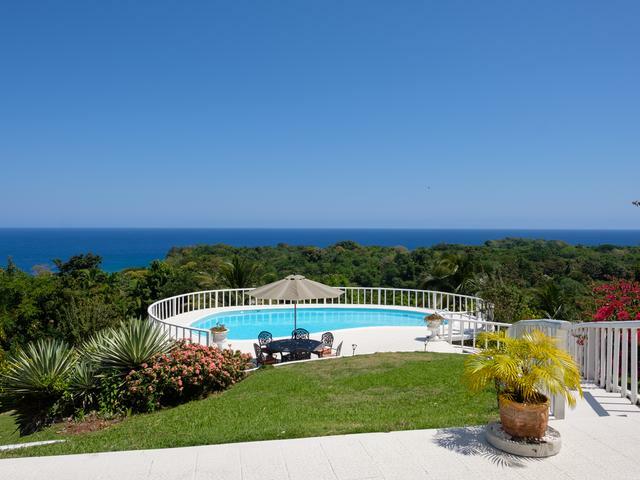 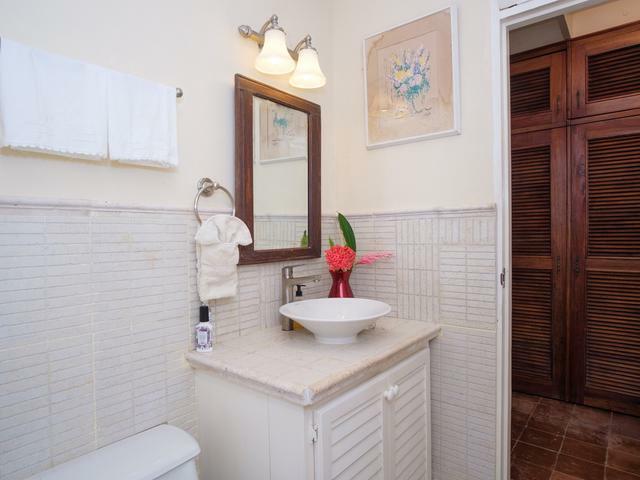 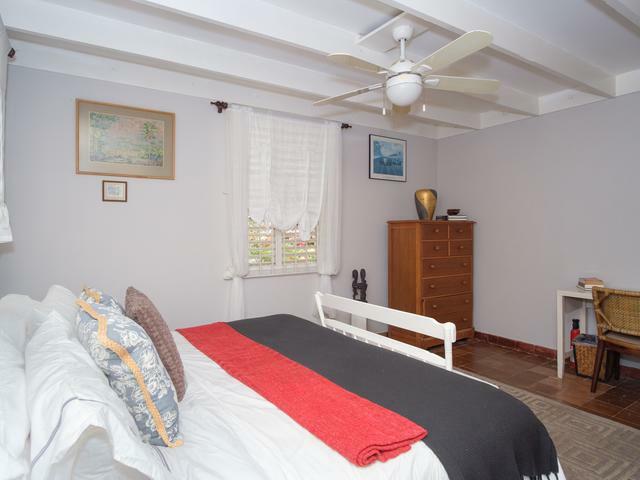 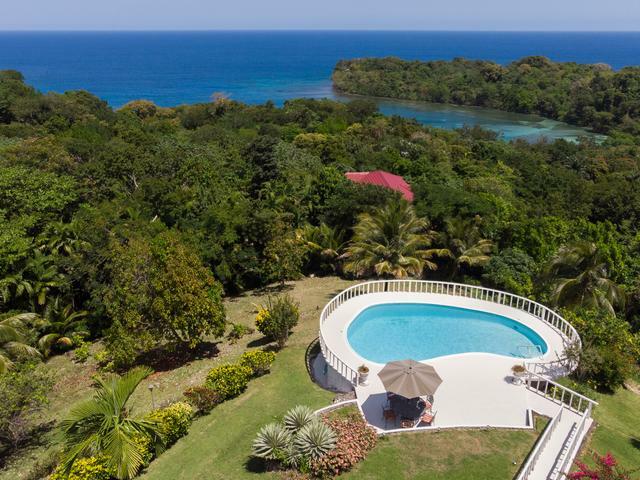 Situated just steps away from the famous Frenchman's Cove and the Blue Lagoon and located just 5 km east of Port Antonio, this lovely home is perfectly positioned. 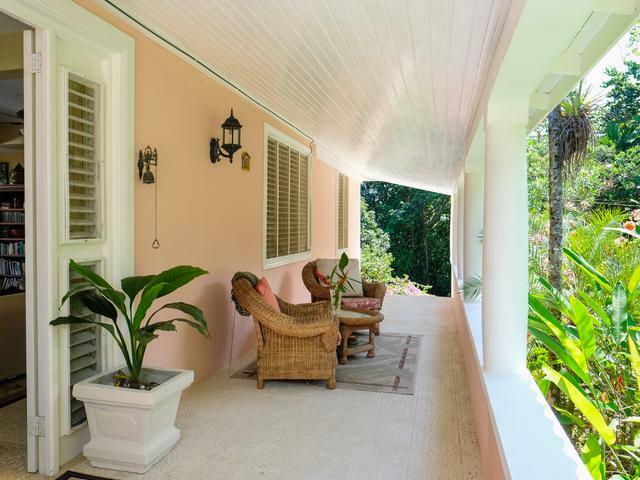 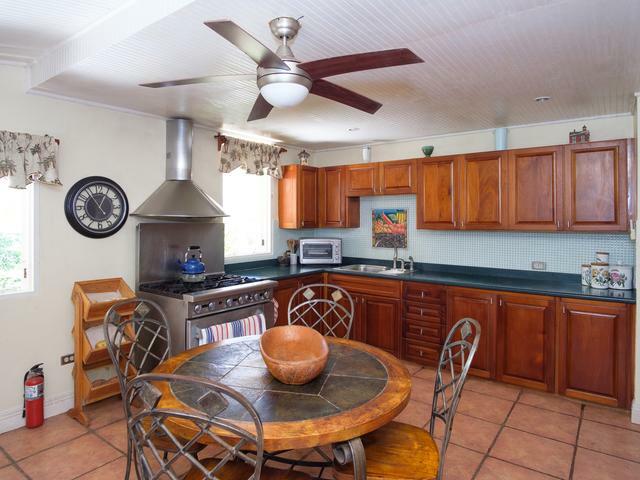 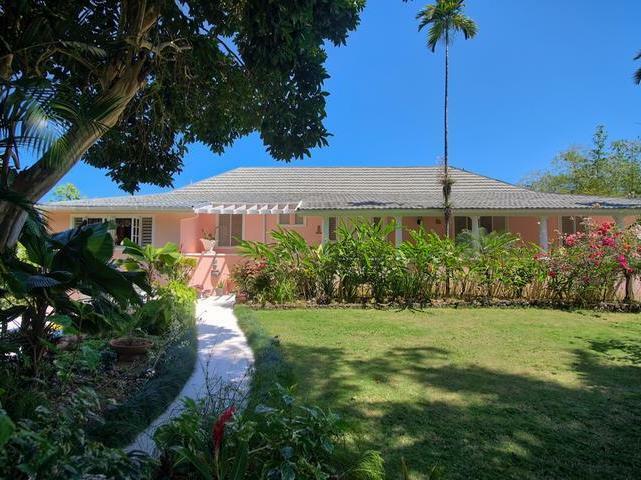 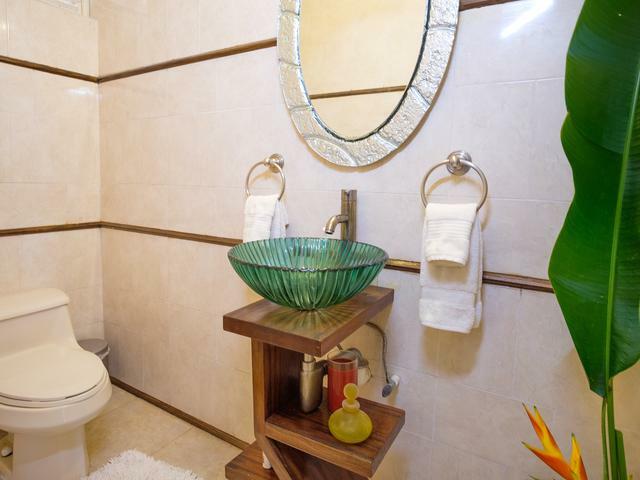 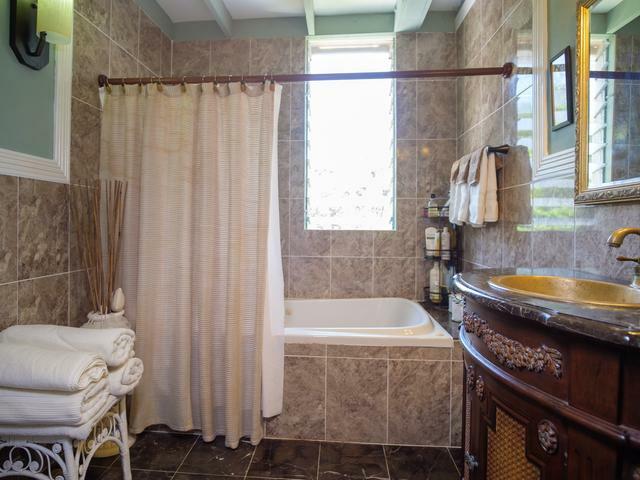 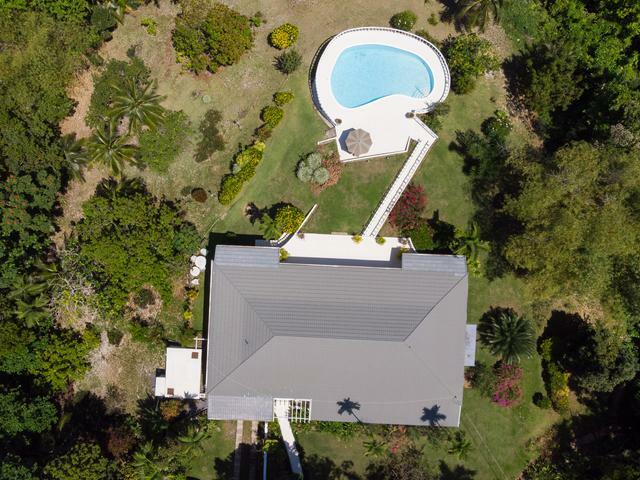 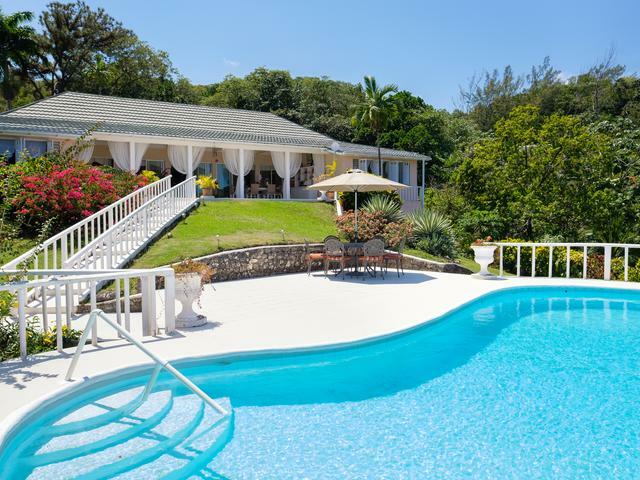 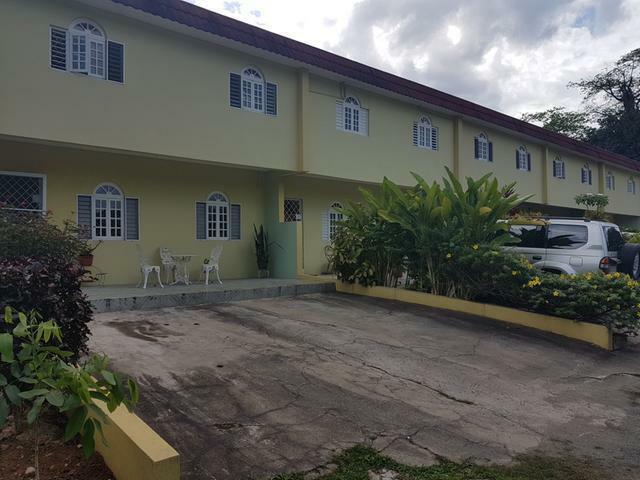 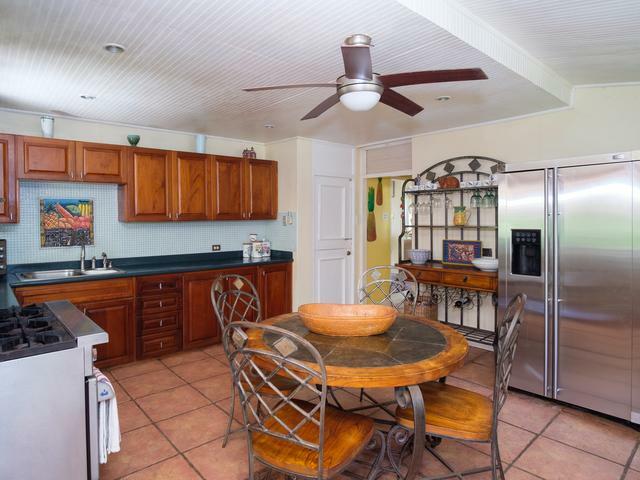 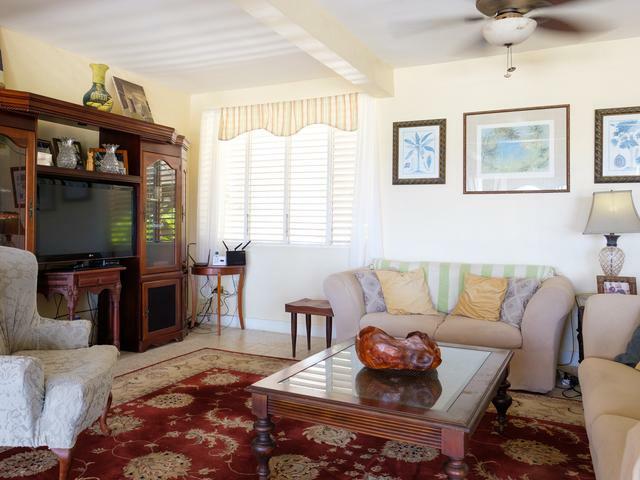 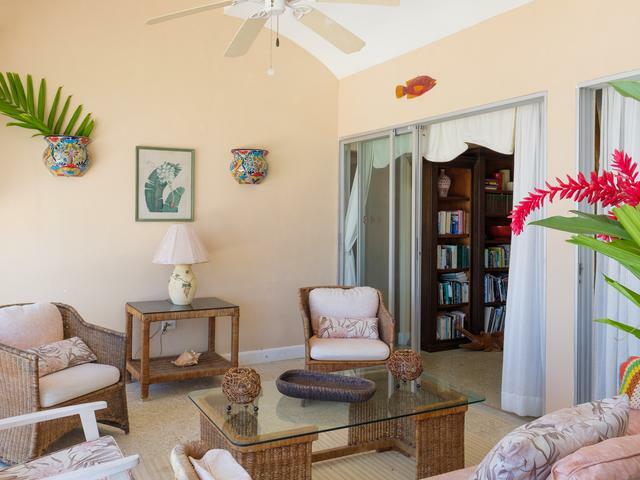 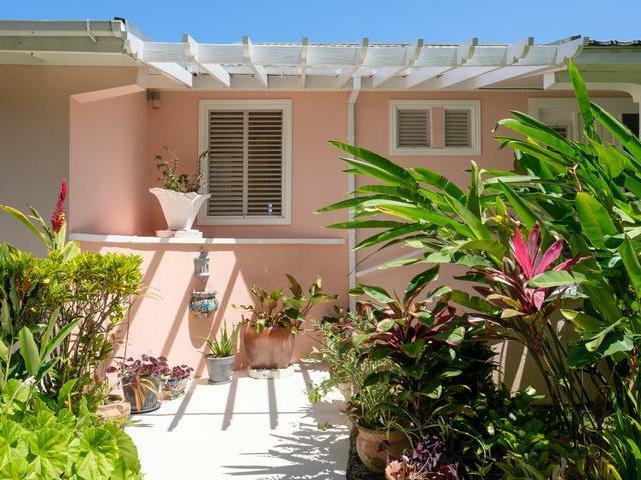 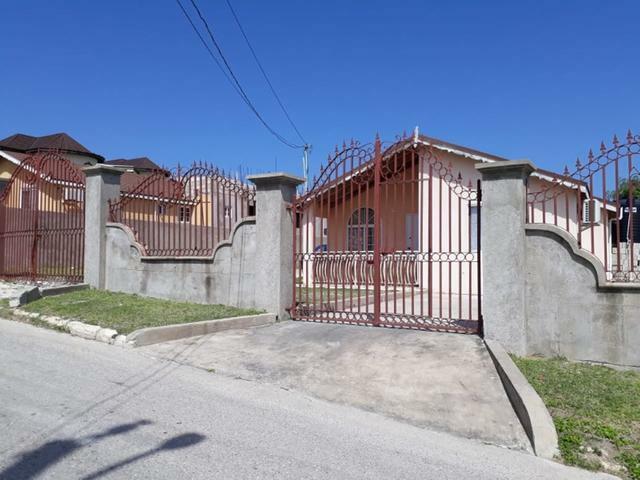 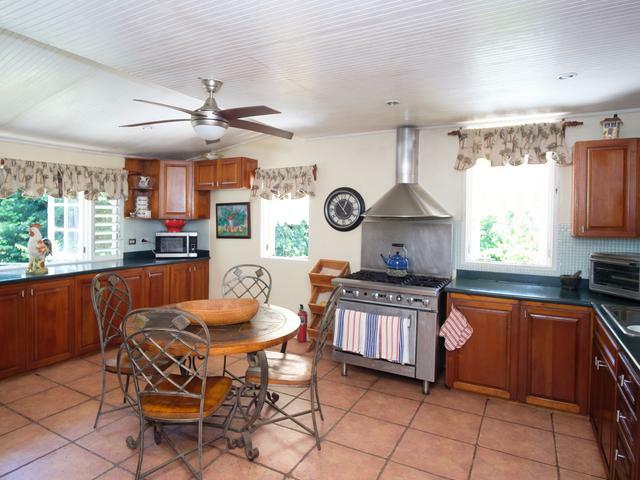 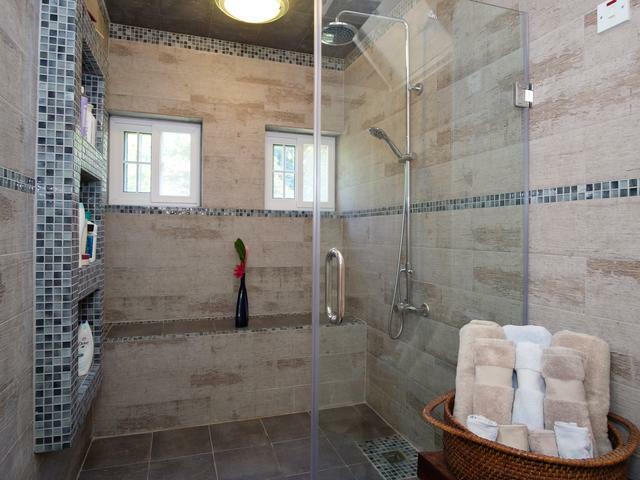 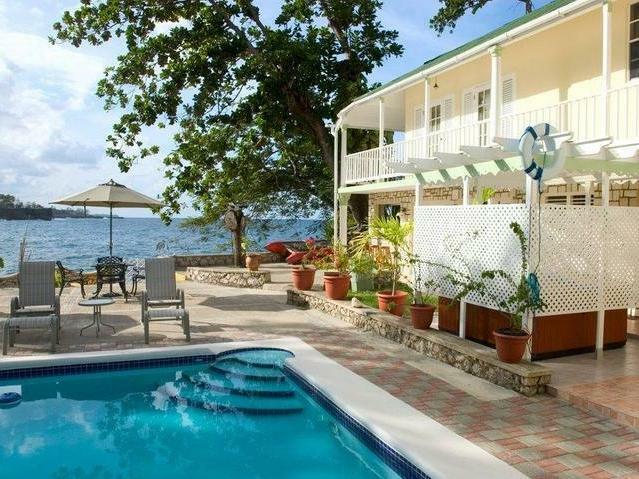 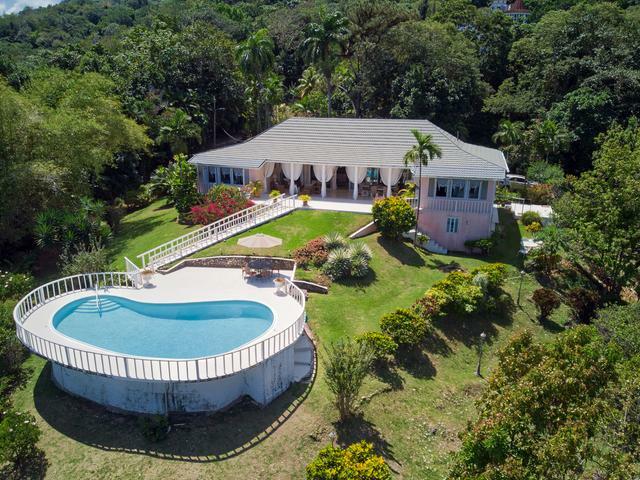 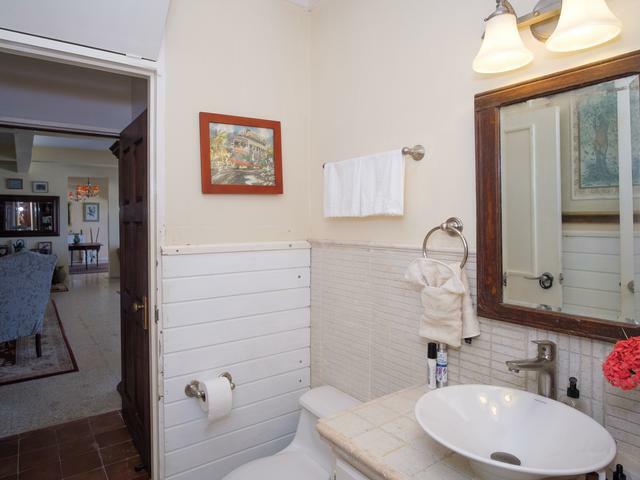 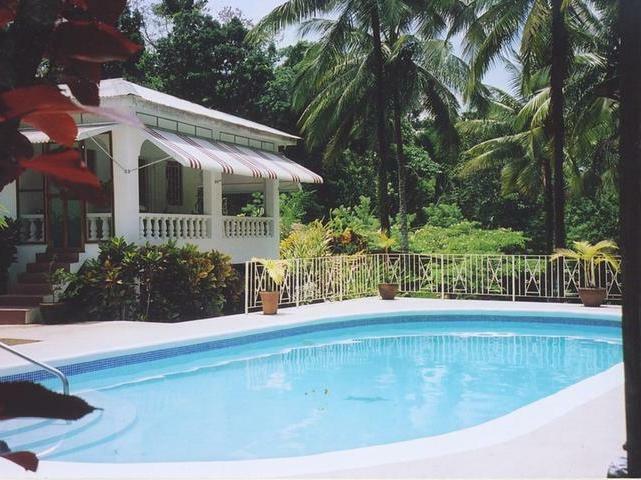 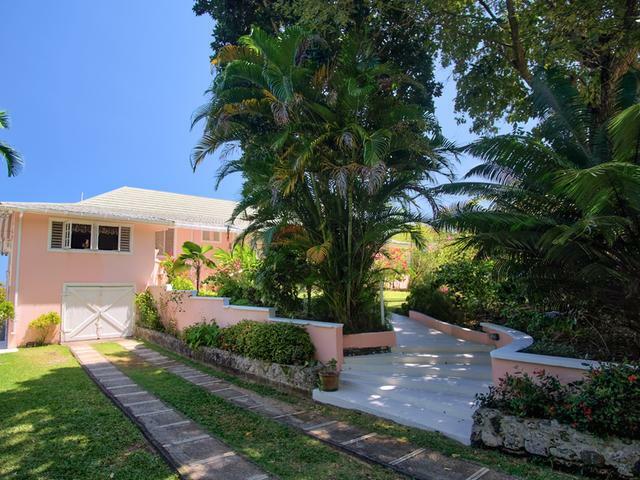 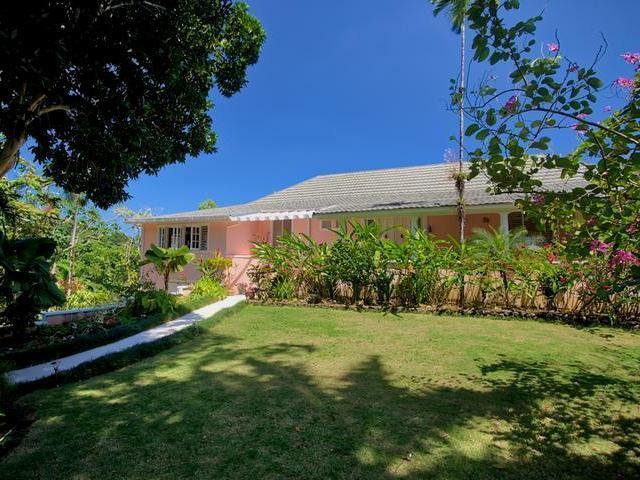 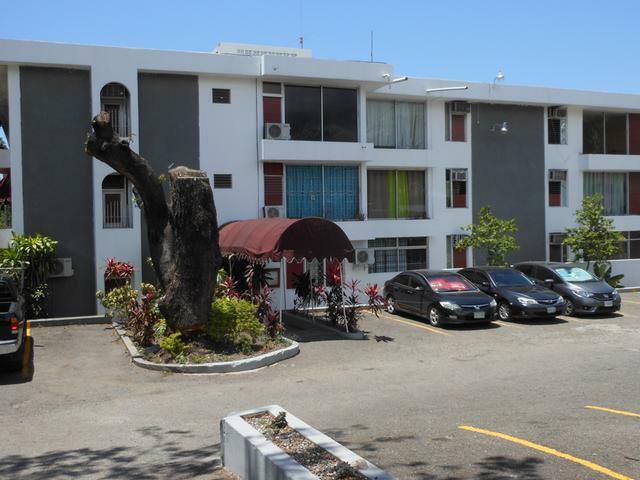 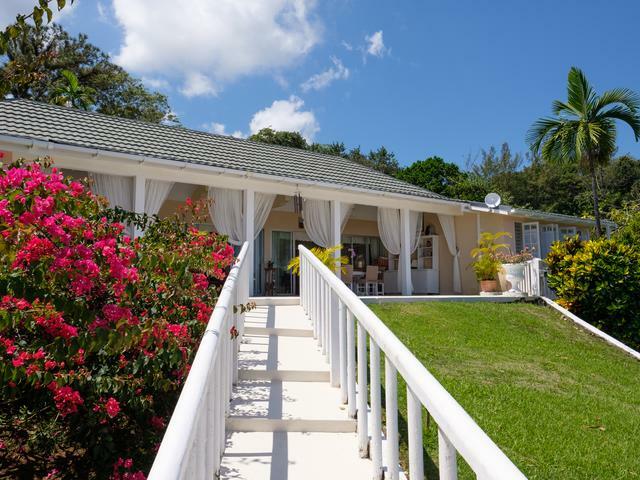 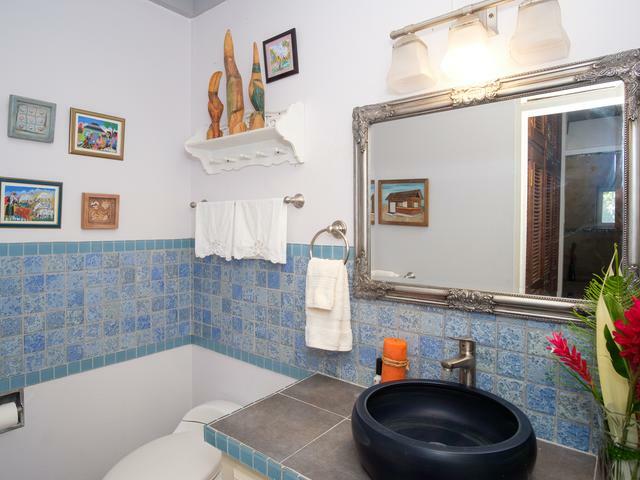 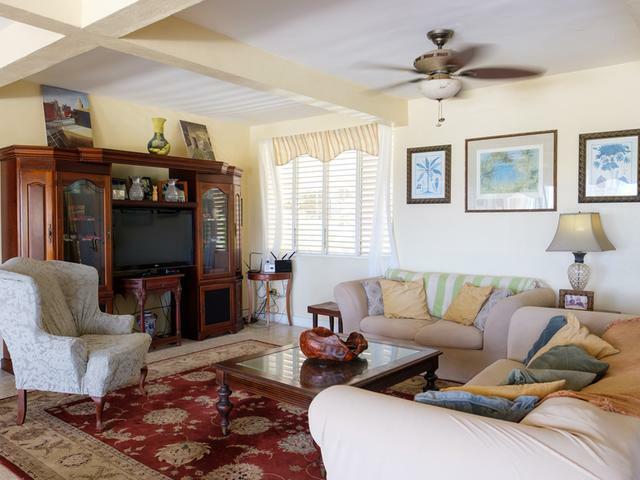 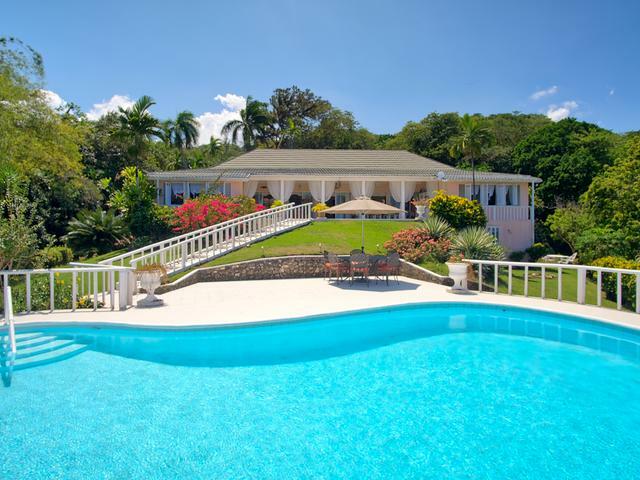 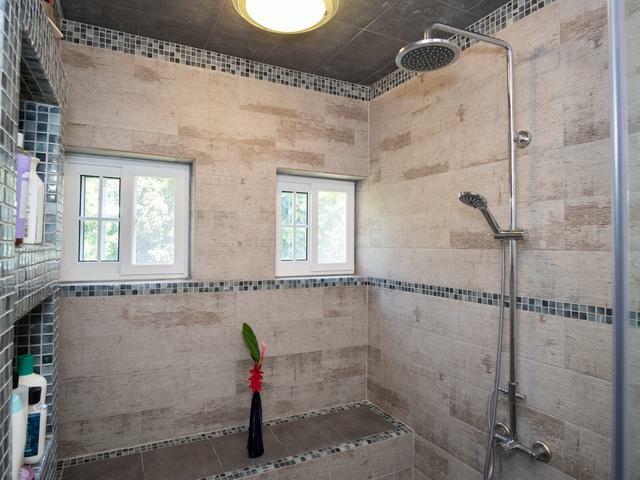 Sitting on 2.5 landscaped acres, the property boasts of ackee, avocado, coconut, mango, breadfruit, and more. 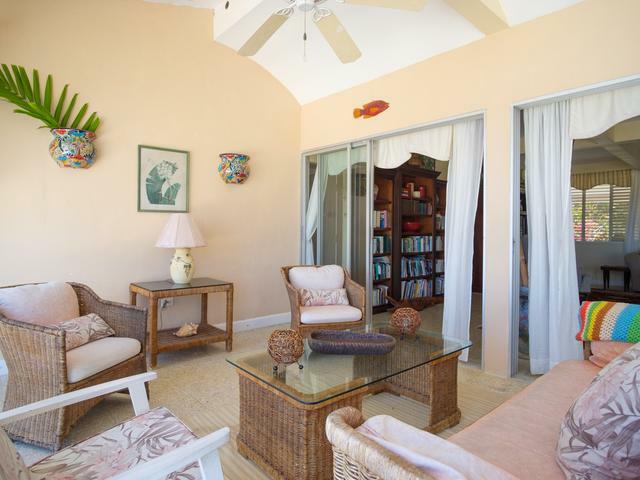 Stepping inside the villa, you will feel the calm breeze through the sliding doors leading to the expansive covered veranda. 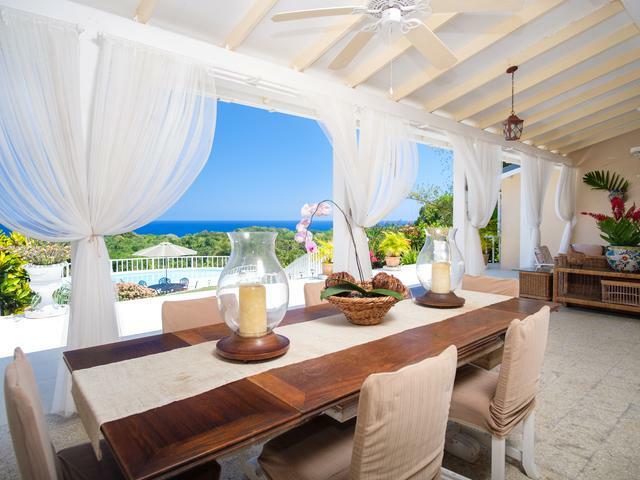 The villa has been equipped with top-of-the-line appliances for the Mediterranean-style, eat-in kitchen. 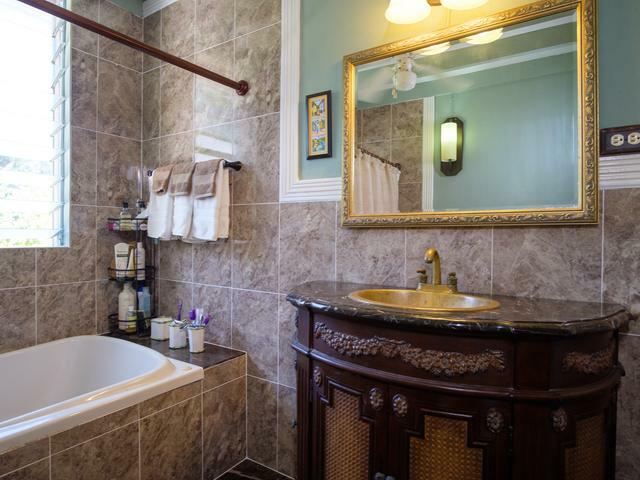 On the main floor, there are 3 large king-size bedrooms, all with modern, updated en-suite bathrooms, plus a half-bath in the entryway. 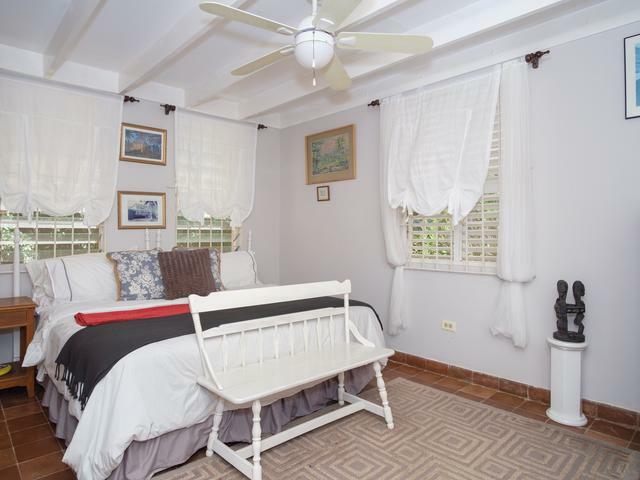 There is an additional 2 bedroom guest suite/ helpers quarters on the downstairs level. 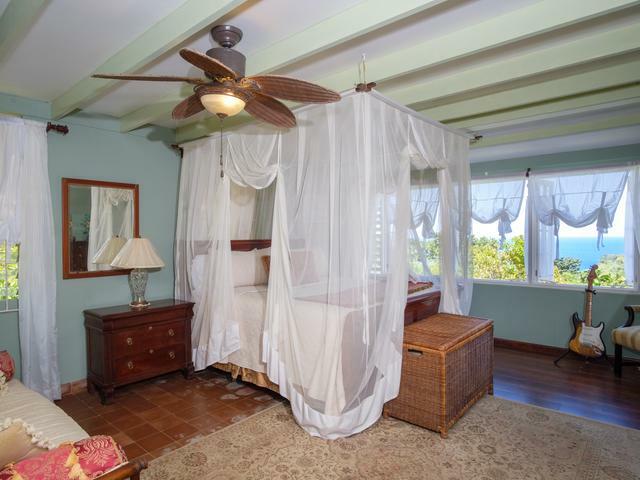 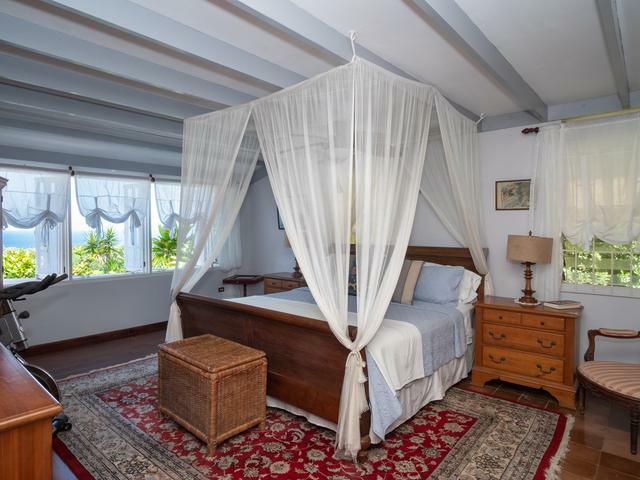 Wake up each morning to a fabulous sunrise over the Caribbean and the sound of birds chirping. 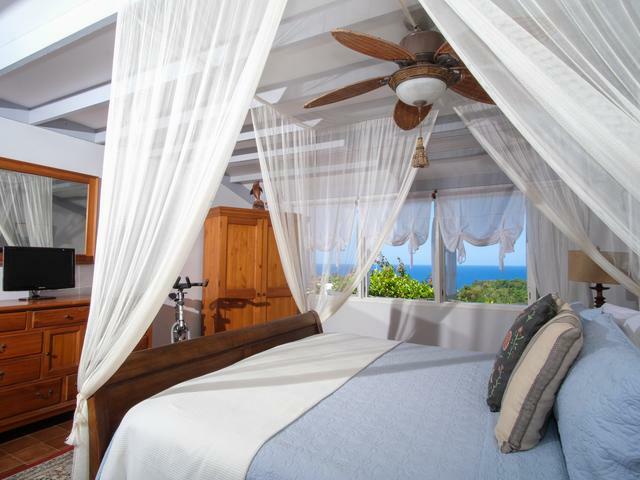 Drift off to sleep each night with the tranquil breeze. 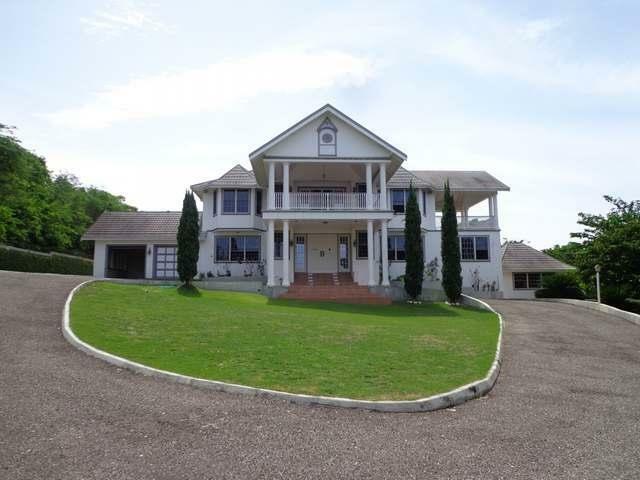 I would like more information on this property ID MLS#34889.